Keeping track of your schedule, important dates, and appointments can be tricky at times. However, if you are a Google Calendar, iCloud, or Microsoft Exchange user, Sunrise Calendar, available for iOS and Android devices, is an app that allows users to keep track of their calendars and schedules on the go! When you first launch the Sunrise Calendar application on your phone, you will be prompted to sign in Google Account, iCloud, or Exchange details, in order to sync your calendar with Sunrise. After the syncing process, you will be able to log into any of the Sunrise Calendar apps and view, create, and edit new events and tasks, which will be synced between your calendar and the Sunrise Calendar applications, including the web-based application and the Mac OS X application. 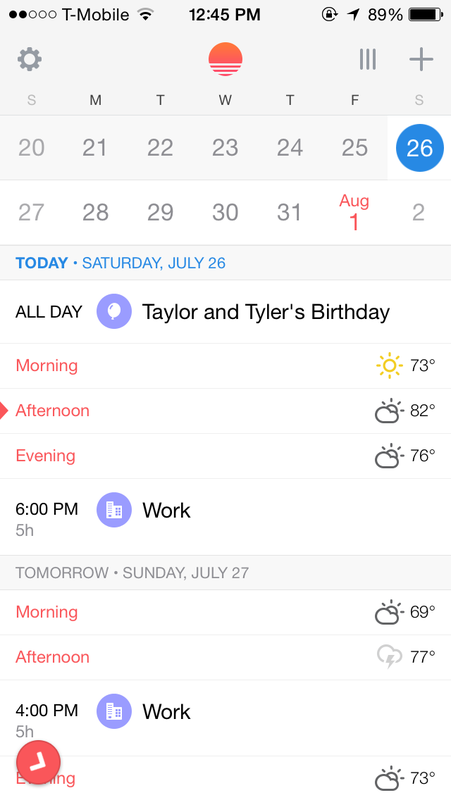 Whenever the Sunrise Calendar app is launched, users will see their calendar in one of two views – a “list” view, which displays various days and the events that are scheduled for them or a more traditional weekly calendar view, with events taking up time-slots within a specific day, similar to what one would see in Google Calendar’s “Weekly” view. 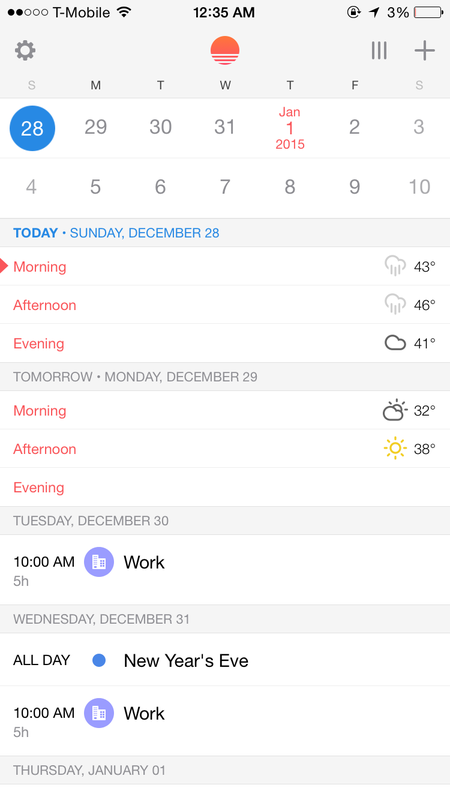 Users can switch between the two different views by tapping on the icon that looks like three lines, located to the right of the Sunrise Calendar logo, at the top of the application. 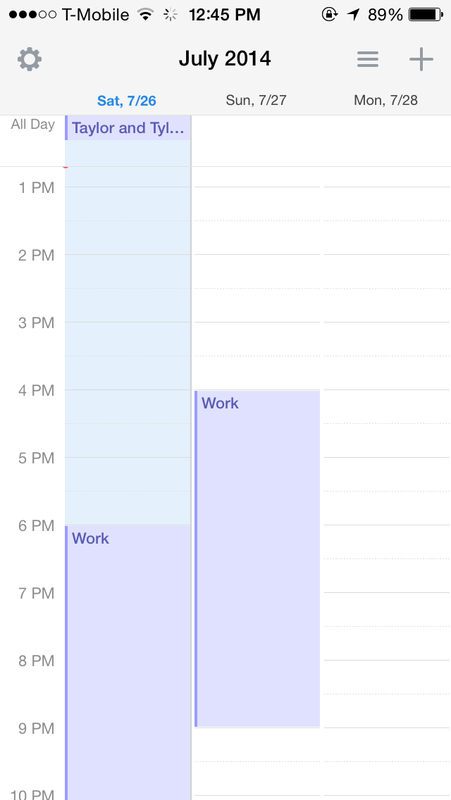 Within the “List” view of a user’s calendar, the day of the week, events, and weather will be displayed. 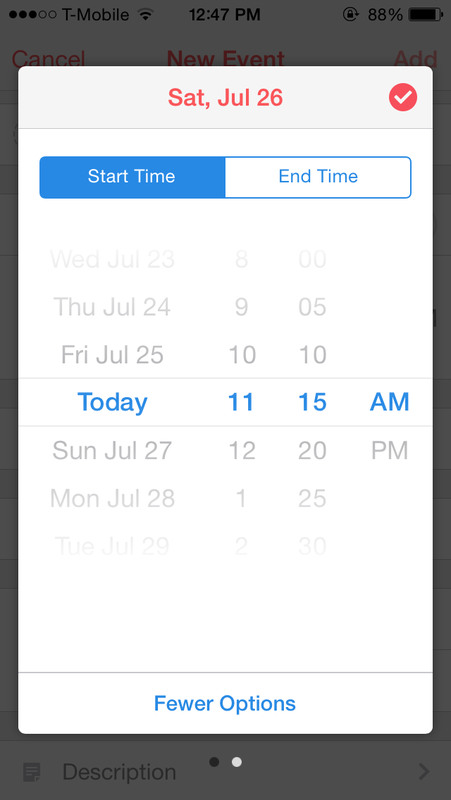 Users will also be able to view and select a particular day within two weeks of the currently selected day. Scrolling up and down will change the currently selected day, and is an easy way to view what events may have previously occurred and which events are upcoming. 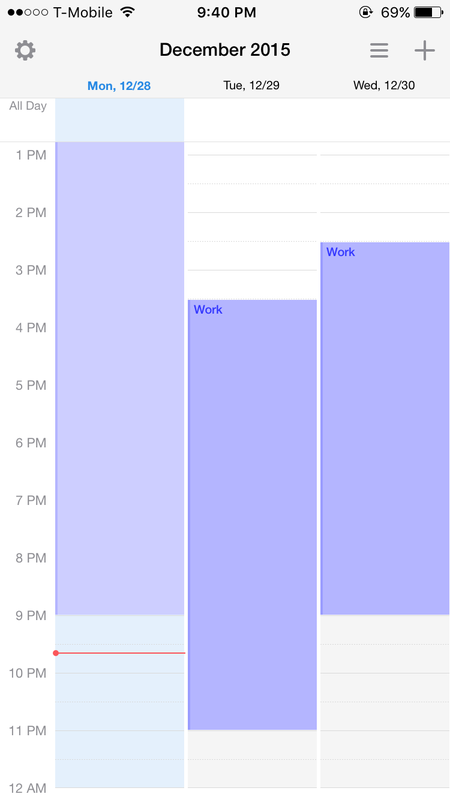 Sunrise Calendar’s weekly view is similar to that offered by other calendar apps, such as Google Calendar and the Calendar application on iOS and Mac OS X, in that it displays the day of the week and shows the events, time they begin and end, and duration of them as blocks on a grid. All day events, such as birthdays and anniversaries, will show up at the top of the particular day’s grid and timed events will show up throughout the day. 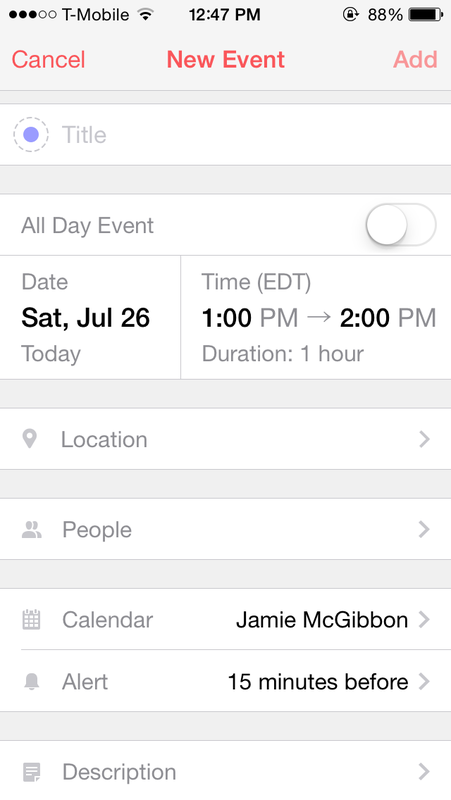 New events can be added to a calendar by tapping on the “+” at top right of the app, which will launch the “New Event” pane, where various aspects of the event can be configured, such as the event’s name or title, date, time and duration, and location. The “New Event” pane also enables users to set a location for the event, invite others, set which calendar the event will be on (if there is more than one), set an alert time (which will make an audible sound at the chosen time), and add a description of the event to their calendar. When setting a time and duration for the event, users can either manually enter or select the start and end times or alternatively tap and drag the event within the day’s grid to select when the event beings and ends, in a way similar to that of Google Calendar. Should you wish to delete an event, all you have to do is tap on the event in either the list or weekly calendar view, which will bring up the event’s information, tap on “Edit”, and then scroll to the bottom of the event and choose “Delete”. 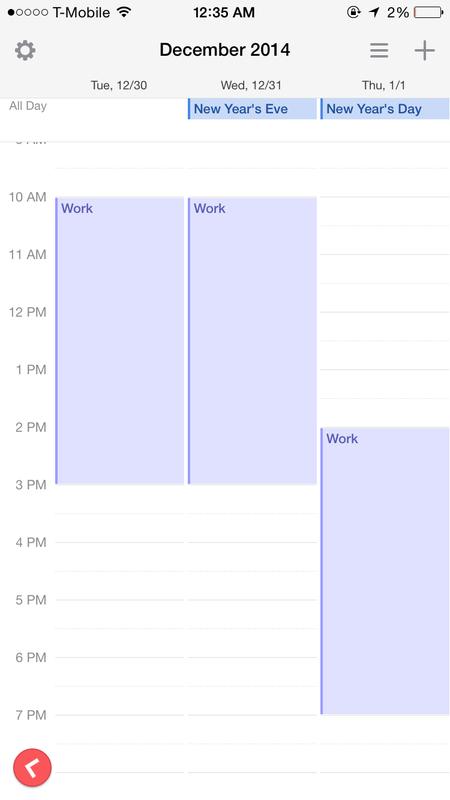 Being a Google Calendar user, I have used the Sunrise Calendar app for a while and really like being able to access my calendar quickly and easily. 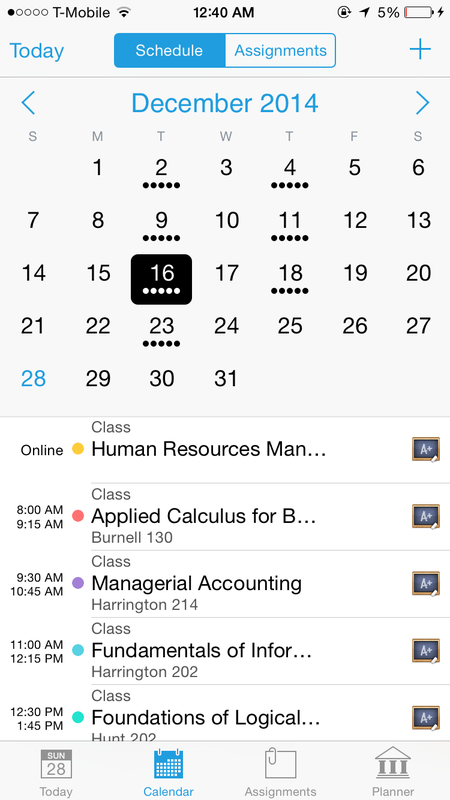 The app is easy to use and does not have a large learning curve, like some of the more advanced calendar apps that are available. 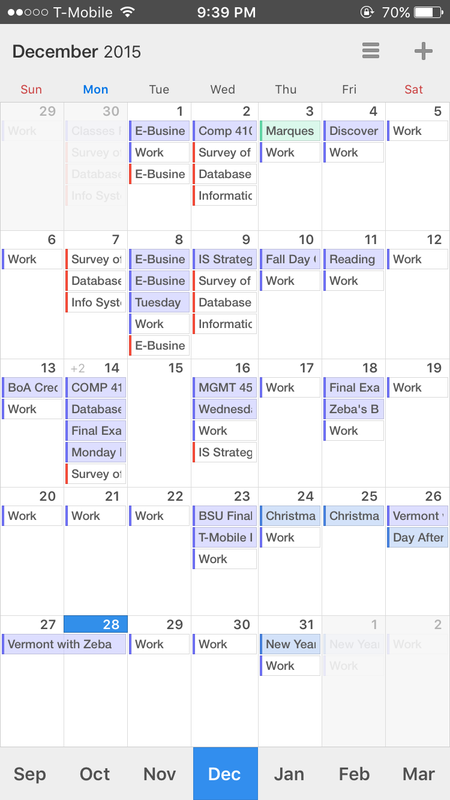 I like being able to see both a list of upcoming events and a calendar-like view so that I can get a visual sense of how long an event is and what time it begins or ends. 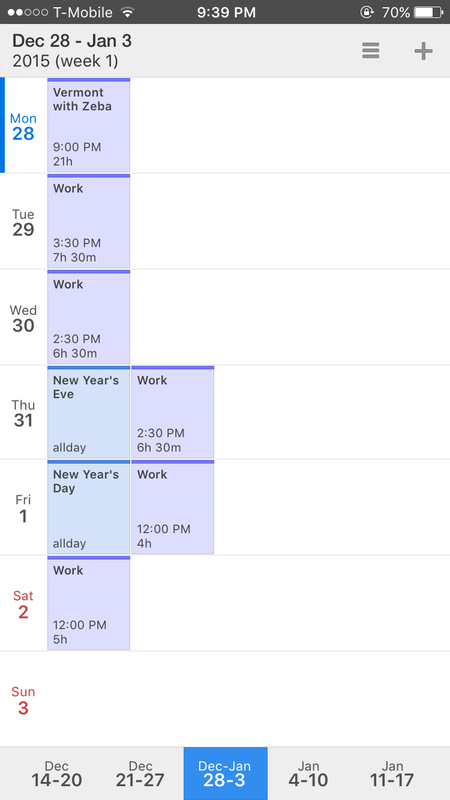 Though Sunrise Calendar does not feature screen rotation, it displays a few days worth of events in both view modes, with the ability to scroll to see more. 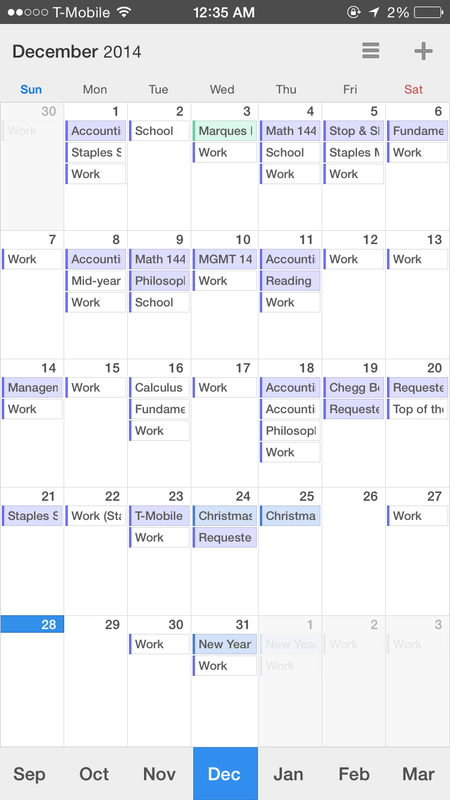 It would be nice to see a monthly calendar view with the ability to select an individual day in the past or future, but the app still works well and gets the job done. 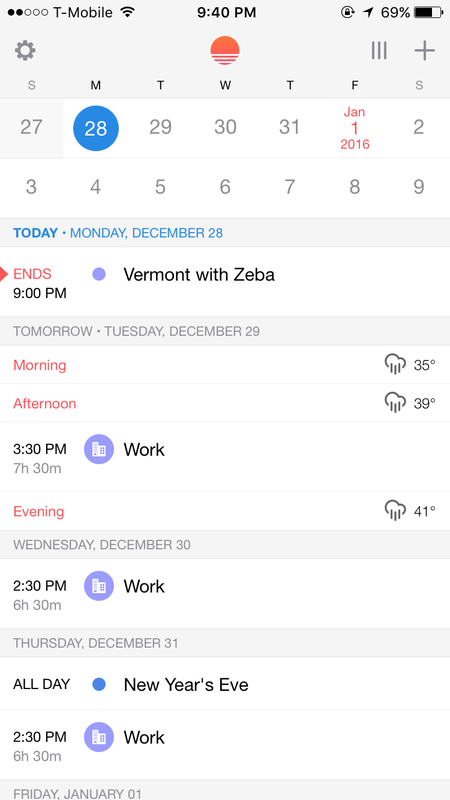 Overall, if you’re looking for a new calendar app that is simple to use and offers a variety of great features, you should definitely consider trying Sunrise Calendar for iOS or Android, which is available from Apple’s App Store or the Google Play Store for free. Sunrise also has a free web-based version, as well as an app for Mac OS X, both of which are pretty similar and provide a convenient way to view and edit your calendars while you’re on the computer. Have you used Sunrise Calendar? Please feel free to leave a comment below with any questions, thoughts, or opinions you may have! Also, if you’re interested in tech related videos, please feel free to head on over to the TechnicalCafe YouTube channel! This entry was posted in App Reviews and tagged Android, app, app review, ios on August 16, 2014 by Jamie. Many iPhone users probably know the problem of worrying about how much cellular data they may have used during their billing period, especially if they do not have an unlimited data plan. Even then, some users may simply be curious as to how much data they use over time. DataMan, by XVision, is an iPhone application that enables users to keep track of their data usage, both over a cellular connection, such as 3G, 4G, and LTE, as well as over WiFi. Perhaps one of the better features of the DataMan app is that is tracks users’ data usage in real-time and displays it in a simple, easy-to-read manner, which is nice, as sometimes cell phone carriers can take a while to update customers’ data usage and show it on their accounts. Additionally, DataMan provides users with a reading of how much, as well as what percentage of their data cap they have already used, with the level of detail (Minimal, Standard, or Complete) configurable by the user. For example, the “Complete” complexity setting shows users how much data they have used over both their cellular network and WiFi, providing details regarding how much data was uploaded and downloaded on both. Users will also see their “forecast” and the percentage of their data cap that they have already used during their current billing period, as well as how much time is left until the next billing period begins. 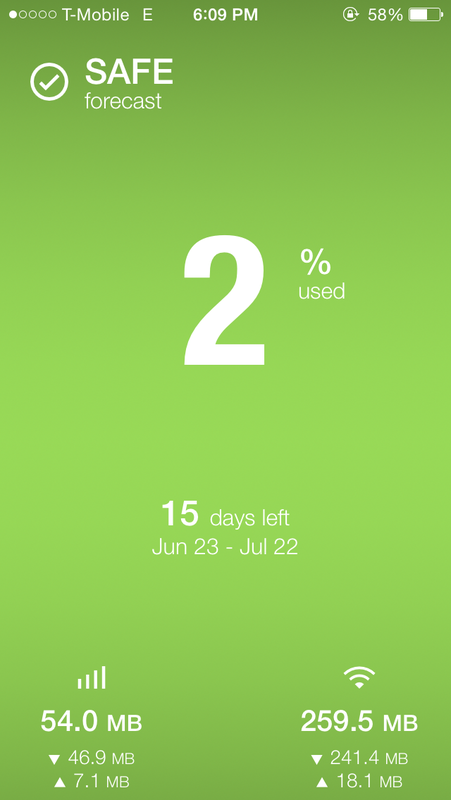 Also, the app can alert users when they have reached certain percentages of their data allowance. These alerts can be configured by the user to remind them at various percentage points of their data allowance. 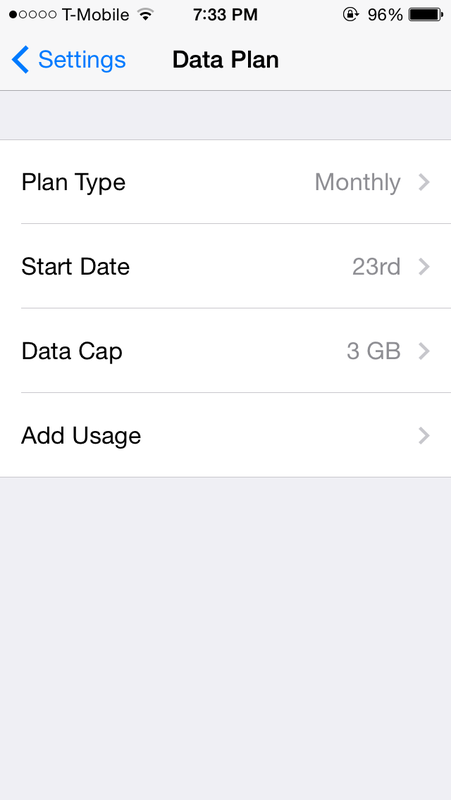 When configuring DataMan, users can enter in the date that their cell phone plan resets, the length of their billing period, what their data cap is, as well as how much data they may have already used (which you may need to get from your carrier if you are unsure), and DataMan will do the rest, even resetting itself once the billing period is up. 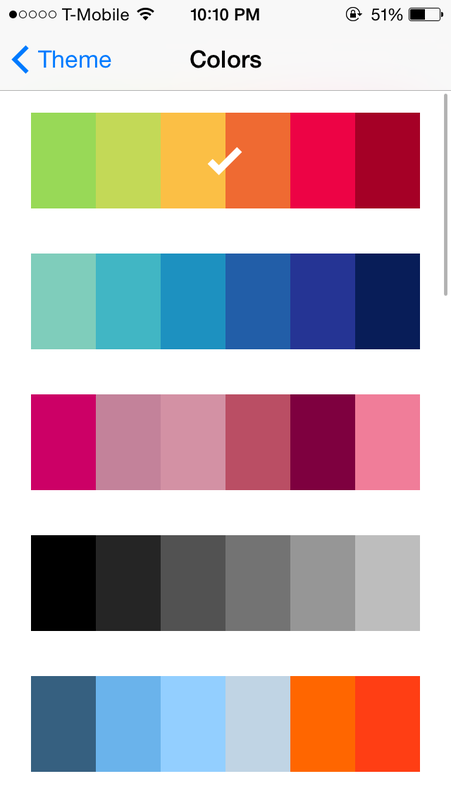 The app also provides a variety of color and theme options, allowing the user to set their desired font, as well as what colors the app’s theme will use. DataMan is available in two versions – DataMan Next (which is the app that is shown in this review) and DataMan Pro, with there being some minor differences between the two different versions. (The Pro version supports mapping where data was used, push notifications, better data usage forecasts, which apps use the most data, etc.) However, the DataMan Next version of the app should be enough to get the average user through their billing cycles without having any overages. DataMan Next can be purchased from the App Store for $1.99 and DataMan Pro can be purchased from the App Store for $4.99. If you have tried using DataMan Next or DataMan Pro to help keep track of your cell phone’s data usage, please feel free to post your experiences in the comments section of this post! Also, any questions about the apps are welcome, and I’ll try to answer whatever I can! Please feel free to use the Contact page of the TechnicalCafe website to send any suggestions on which apps, etc. that you would like to see reviewed or explained in a future blog post! 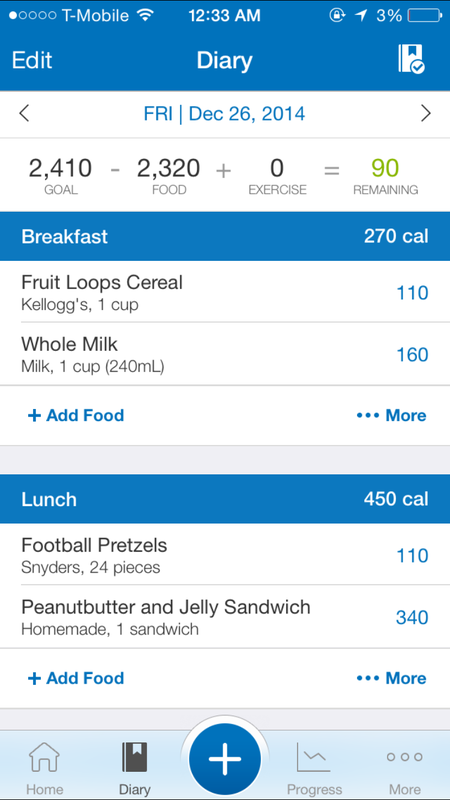 This entry was posted in App Reviews and tagged Android, app, app review, ios on July 9, 2014 by Jamie. 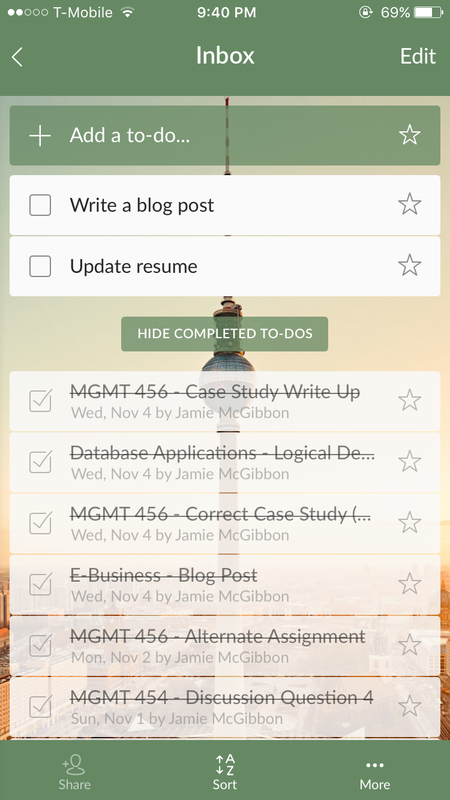 Since today is the last day of 2013, I figured it would be appropriate to write a blog post about some of my favorite iPhone apps that I have been using over the past year, as well as some of the apps that have been popular over during 2013, as well. Tweetbot 3 is the latest version of a Twitter application that enables users to view tweets from multiple timelines, as well as view and reply to tweets using various gestures throughout the app. 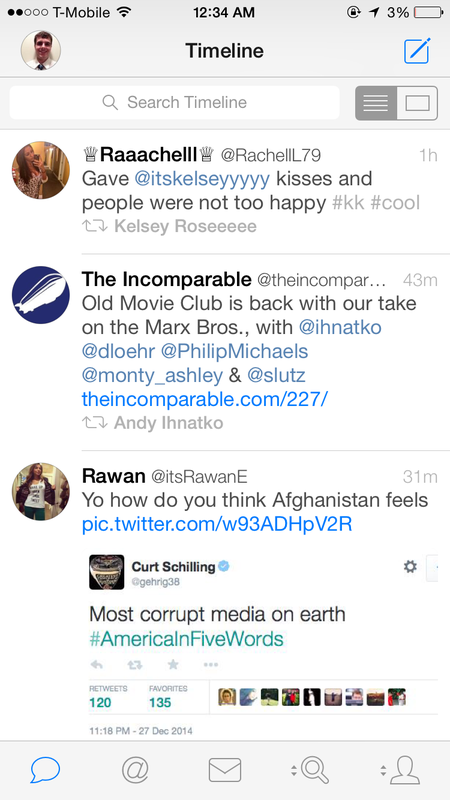 Additionally, Tweetbot features nice graphics and aesthetics, with the option to view your timeline(s) in either a lighter “daytime” theme and a darker “nighttime” theme. Another app that has appeared on this list in previous years, Instagram is a social photo-sharing application that enables users to post photos for their followers and other users to like and comment on. Recently, in the most recent version of the app, users were given the ability to send photos to other users directly, and before that, and earlier in the year, the ability to post videos to their Instagram account. Snapchat is a popular app, that enables users to send photos and short video clips to one another, with the option to add text and drawings to them. Recently, Snapchat Stories were added to the app, which allows users to post multiple photos to their “Stories”, which are available for a period of 24 hours, unlike a regular Snapchat, which only lasts for up to 10 seconds. The official YouTube application essentially “replaced” the previous YouTube app, created by Apple, that came as one of the pre-installed apps on iOS 6. The YouTube app lets users sign in with their Google or YouTube accounts, as well as view, comment on, and like or dislike videos from the users that they are subscribed to, and also offers suggested videos, like the YouTube website does. Additionally, users can view their YouTube channels and even use the “Capture” app (or the iOS camera app) to record and upload videos to YouTube, as well. Tinder is a social/dating application that allows users to “meet” new people by displaying a photo of a user, and allowing them to either swipe right and “like” the user, or swipe left and “dislike” the user. If two users swipe right or “like” each other’s profiles, they will be matched and given the ability to chat with each other within the app. Additionally, Tinder enables users to post multiple photos to their profiles, should users wish to view more about a user, as well as displays some text and what the two users have in common. Most of this information, including photos and common interests is taken from users’ Facebook profiles. The second version of the popular tower-defense game, Plants vs. Zombies 2 is a game where the goal is to prevent hoards of zombies from attacking your house. In order to do this, users can plant a variety of plants, each with their own abilities (some shoot peas, others freeze the zombies, etc. ), in order to deter and kill the zombies before they gain access to your house. Plants vs. Zombies 2 adds some new features, including power-ups, new plant and zombie types, and more, with the ability for users to purchase coins and other features via in-app purchases, which can be used to buy more power-ups, unlock new areas, unlock new plants, and more! 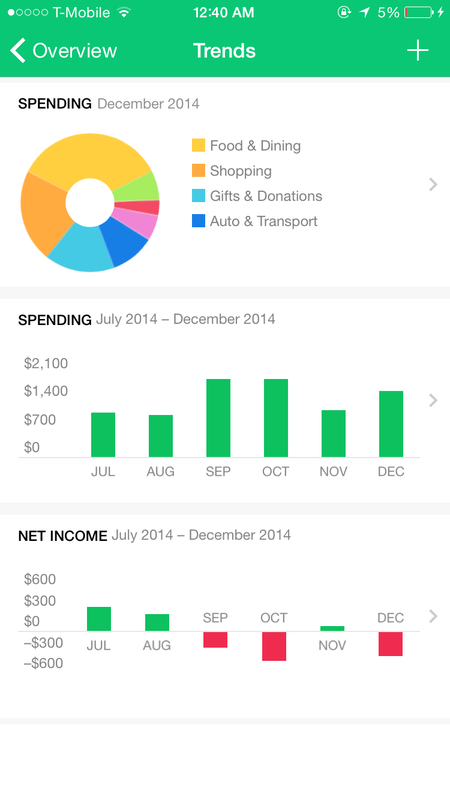 The Mint app, as well as the Mint.com website, both of which are owned by Intuit, Inc., are two great tools that enable users to view and manage their personal finances. Mint enables users to connect their bank, credit card, and other types of accounts to their accounts on the Mint website, where they can then view their spending using a variety of useful tools, including graphs, and also enables users to create and manage budgets, as well as see where their money has been spent over time. Mint does not allow users to actually “move” or access their money, but is a useful tool to help users manage their personal finances. While I’m sure most people are familiar with NetFlix and their great streaming service, I figured I would include this app on the list of my favorite apps of 2013 because it can be quite useful for watching movies and TV shows, especially if you are traveling or not around a TV, or if you, like me, can’t really see a TV without wearing your glasses! Dropbox is another app that is probably more well-known, but is still an app that is useful for storing files between multiple computers and devices, including iOS and Android devices. 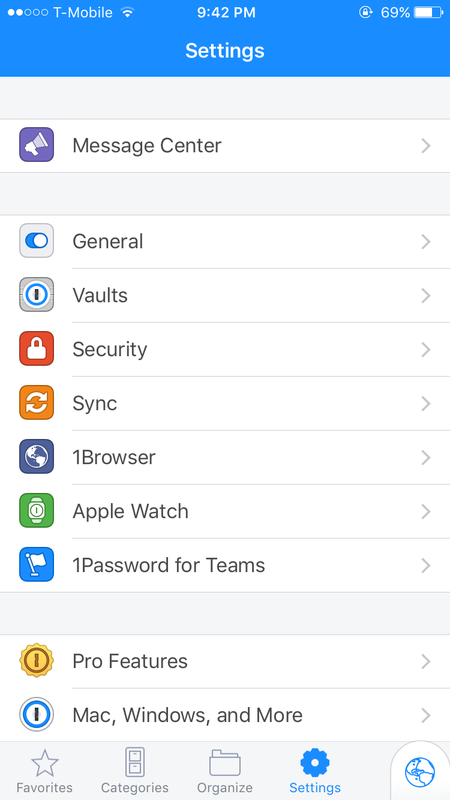 With Dropbox, if you want to make a file accessible to your variety of devices, you can do simply by placing it in your “Dropbox” folder, which will store it in the cloud and make it accessible across all of your devices via the Dropbox app or web interface. Dropbox provides 2 GB of storage space for free accounts (with the ability to have up to 16 GB of space for free), and offers plans that allow more storage, starting at $9.99 a month. 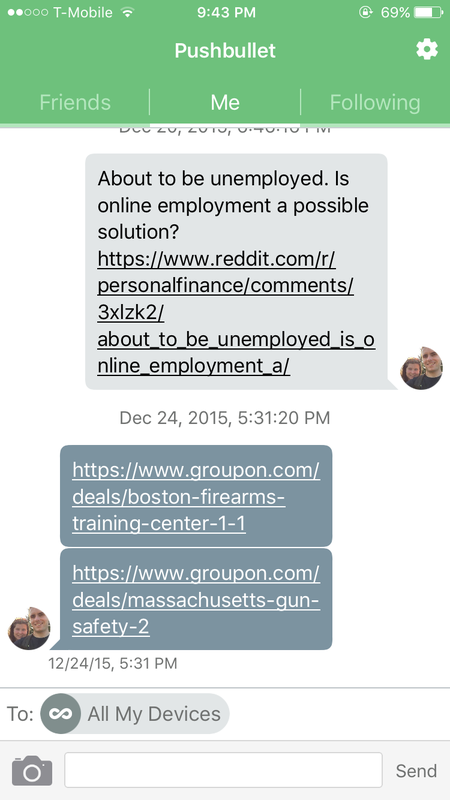 There are also business plans available, starting at $15 per user. Calcbot is a calculator app for iOS devices that is a great alternative to Apple’s Calculator app that comes with iOS. Calcbot features the ability to view and use past expressions and calculations or answers, as well as perform a variety of standard and scientific calculations and operations. 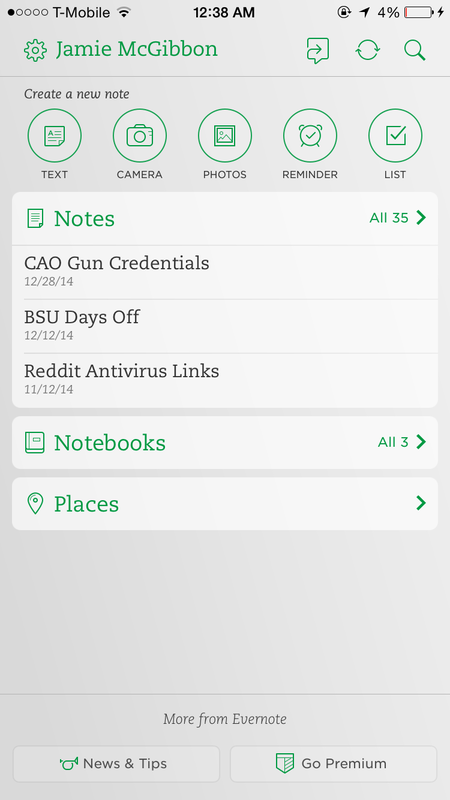 Do you have any experiences with these apps? Are there any apps that you like that were not included? If so, please feel free to let us know what you think in the comments! I hope everyone has a happy, healthy, fun, and safe new year! 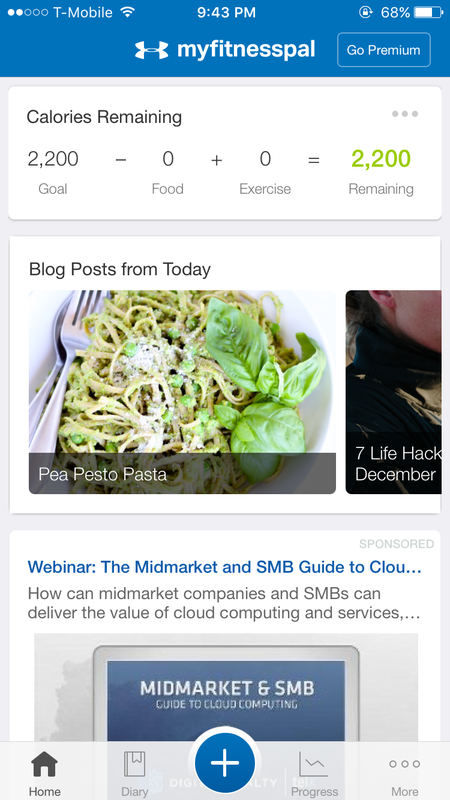 This entry was posted in App Reviews and tagged Android, app, app review, ios on December 31, 2013 by Jamie. 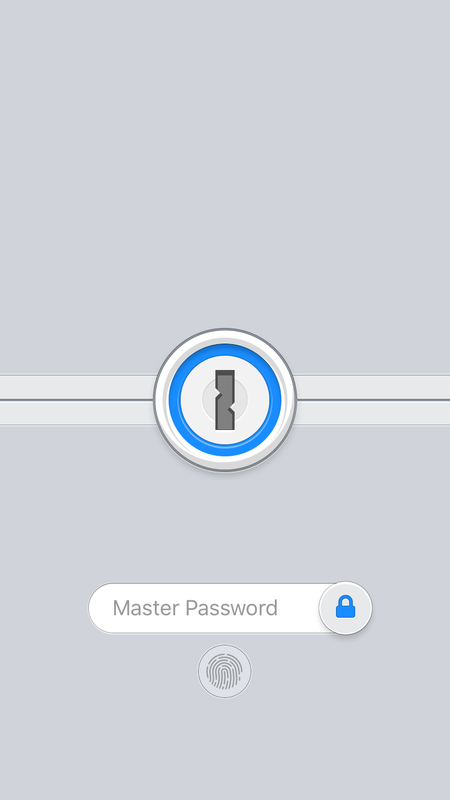 Since today is the last day of 2011, I figured I’d write up a post about what iPhone and iPad applications I enjoyed using over the past year. These apps don’t necessarily have to be the “best” or most useful iPhone or iPad applications of the past year, but rather, they are applications that I may have used or heard of and thought they were nice, enjoyable, or useful applications. Also, just a note that this list is not in any particular order, so the first app listed isn’t necessarily better than the last one listed. TweetBot, by TapBots, is a Twitter client, which allows users to access their Twitter feeds, read and post Tweets, view people’s profiles on the service, as well as other things. 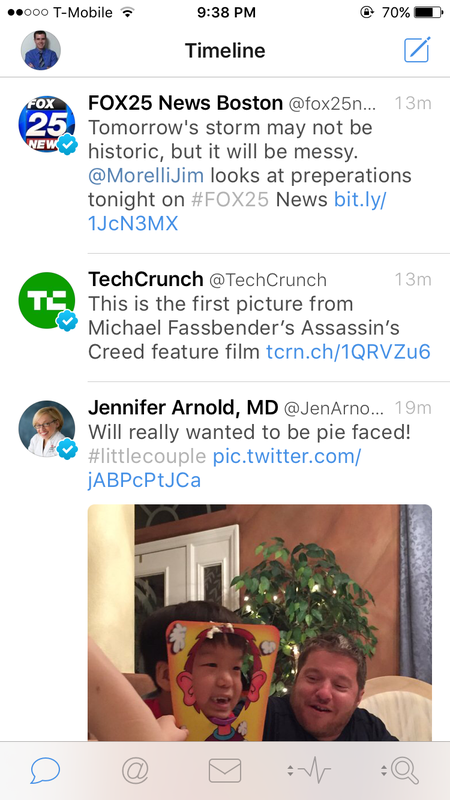 TweetBot also features a great looking user interface, which includes sounds and animation and makes viewing and writing tweets fun. Also included in the application is multi-touch gesture support, so users can view, create, and read tweets in a more interesting and interactive way. In addition, TweetBot supports the ability for users to have multiple timelines within the application, so that, if they have more than one Twitter account, users can view them both within the same application. 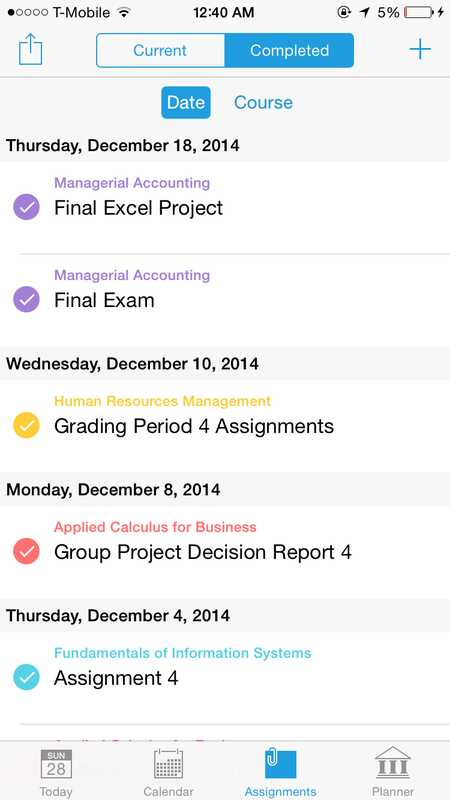 Users can simply tap on the “Timeline” button, which looks like two figures of people, and is located in the top left of the app, to view their timelines and select which one they would like to use. 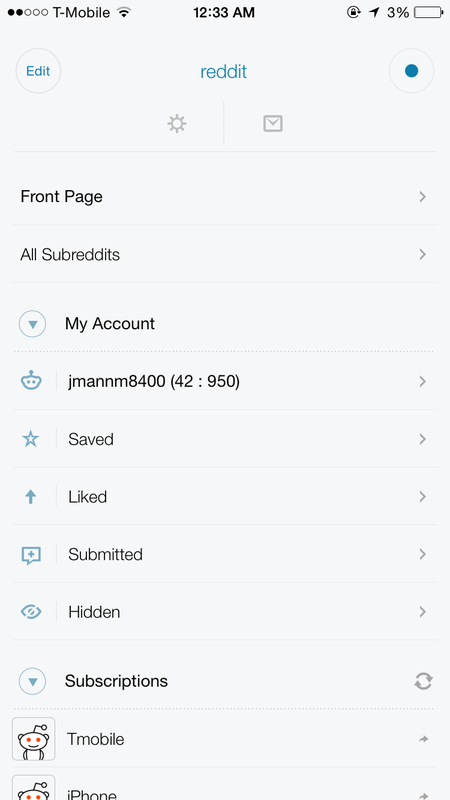 Also from this menu, users can choose to go to the “Accounts and Settings” page of the app. 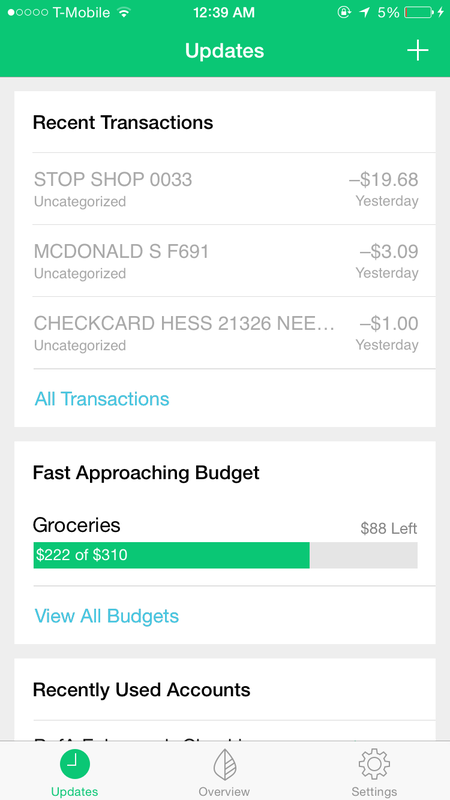 Saver, by Alex Solonsky, is an app that allows users to track and view their expenses and features things, such as graphs and lists, where users can see how much money they’ve spent and where it’s going. When a user wants to add an expense to Saver, all they need to do is click on the “+” icon, located at the bottom of the app, which then brings up a screen where users can enter in an amount of money, as well as select, or “tag”, what this money was spent on. There are a variety of categories that users can pick from, in order to tag their expenses, including “General”, “Kids”, “House”, “Amusement”, “Wardrobe”, “Groceries”, “Auto”, “Food”, “Payments”, “Vacation”, and more! Additionally, each category also has sub-categories, which users can use to further narrow down what they spent their money on. For example, some of the subcategories in the “Food” tag, include “Cafe”, “Fastfood”, “Bar”, and “Restaurant”. 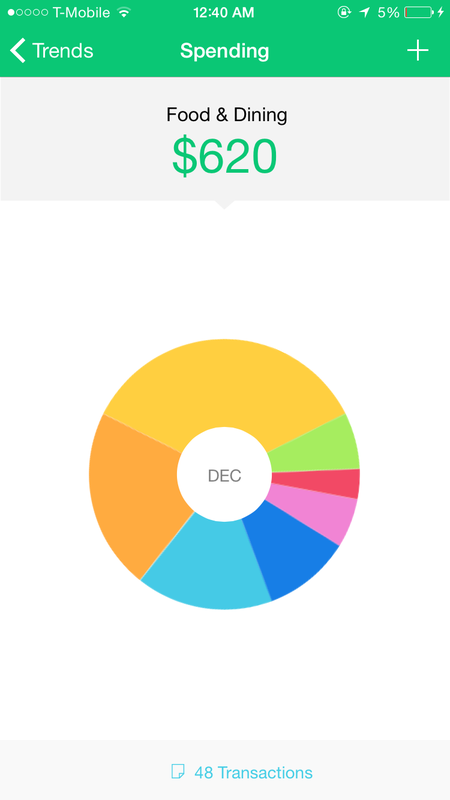 Once a user has added their expenses, they can view them in a pie-chart, which is color coded according to the category of expense. 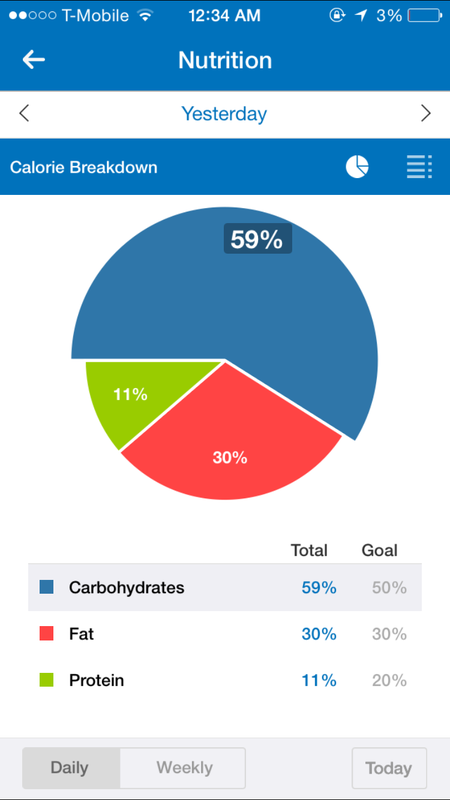 Users can then tap on that part of the chart, which will bring up a list of the user’s expenses. Also, users can select to view their expenses by either the week, month, or year, which is useful if you want to track your expenses only for a certain amount of time. Instagram, by Burbn, Inc. is on the list for the second year in a row, as it’s a great application which allows users to share photos, not only on the Instagram app itself, but also on Facebook and Twitter. One of the great features of Instagram is that it’s a social app, where users can follow other users and see what pictures they’ve been posting. Additionally, users can “like” or comment on others’ photos, which adds to the social aspect of this application. Oink, by Milk, Inc., is a social “rating” application that just came out in 2011, and allows users to rate the things in the world around them, rather than just rating the places they have been to. For example, rather than rating a particular restaurant as having good food or being a great place to eat, Oink allows users to rate specific things at the restaurant, such as a specific dish or place to sit, or even the lighting! 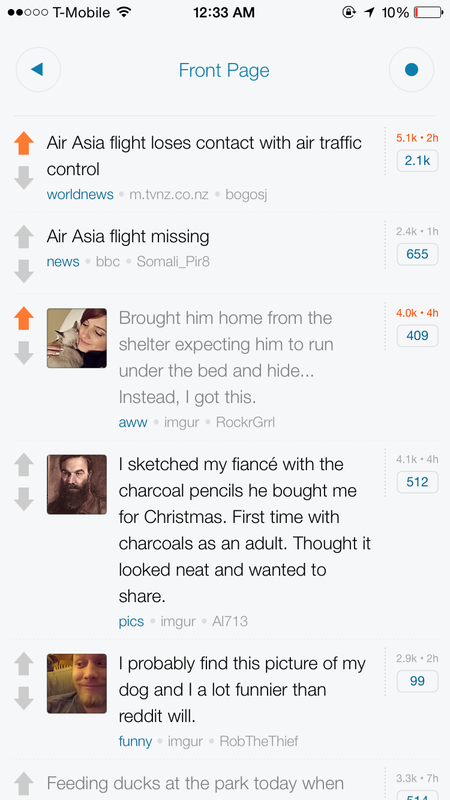 Other users can then see what one has posted to Oink and what their thoughts were on the particular thing they rated, and can also add their own ratings and comments to the post. 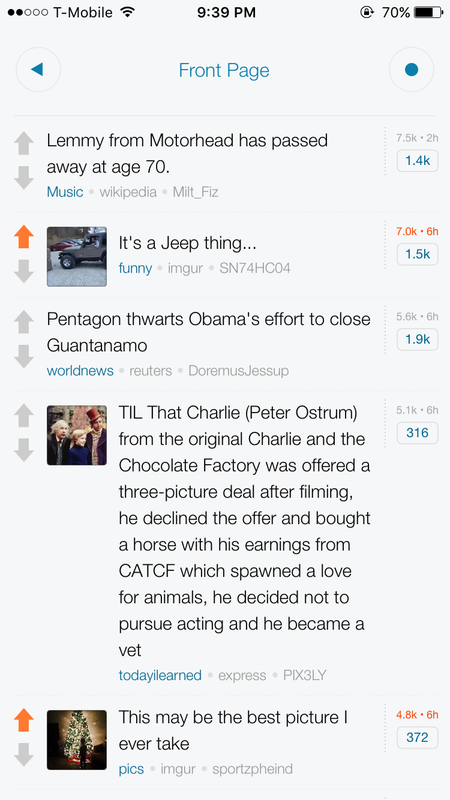 Users are also able to “Like”, “Love”, “Dislike”, etc. 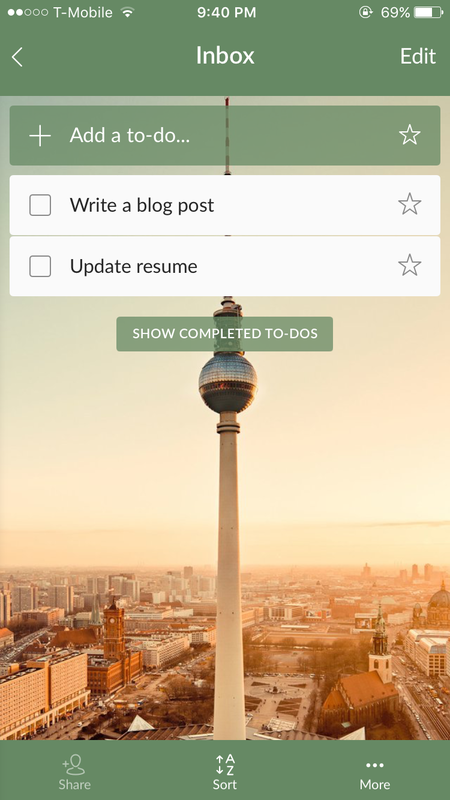 the variety of things that are rated, and additionally, users can choose to add something to their “To-Do” list, if they are interested in trying what they saw someone else post about. Users can also choose to share their ratings and posting on both Facebook and Twitter, should they want to share their experiences with their friends who many not be using Oink or may not have an iPhone. Tiny Tower, by Nimblebit, LLC., is a fun game, where users are in charge of building and running a tower filled with a variety of residences and businesses, as well as managing the citizens who happen to move into the tower and live in the residences. Gameplay consists of ensuring that the various business and stores in the tower are stocked with the items or services that they carry or sell, as well as helping to move the tower’s guests or residents, called Bitizens, to the various businesses by use of an elevator, which the user can move up or down, to get the person to the correct floor, which is specified by the Bitizen in the elevator. When a user accrues a certain amount of money, they are able to purchase more floors for their tower, building it higher, and adding to the number of residences or businesses that are available for Bitizens to use. However, after a new floor is added to the tower, the next floor’s price will increase, so a user has to save up more money to build it. Additionally, stocking and restocking the businesses in a tower requires that a user use their coins to do so. Though, users can opt to purchase (with actual money) TowerBucks, which can be spent on much of the same things that regular coins can be, but, similar to FarmVille or CityVille, allow things to be completed or done faster than if a user were to strictly use coins. TinyTower is a fun game with a 8-bit style user interface and doesn’t require that users play it for hours at a time. Because of the nature of TinyTower, with running businesses and such, users can choose to restock a product, etc., and come back later when it has run out, without having to sit around and watch the game run to do so. Zombieville USA 2, by Mika Mobile, Inc., is a fun game, where the user’s main task is to infiltrate a zombie infested city or town, and take out the zombies. In order to do this, the user is given a choice of a variety of weapons, including clubs, knives, guns, and grenades, though some weapons are only available after the user earns enough money in the game to purchase them. The gameplay is pretty simple, with users using a “joystick” style control and three buttons, each in control of switching to and firing or using one of the three weapons that is being carried by the user’s character. Also, thoughout the level, users can find and shoot or hit boxes and other things (including mailboxes, signs, etc. ), which may house money or extra ammunition, which can then be used to help the user purchase new weapons or to reload their current weapons. Once the user has reached the end of the level, a helicopter comes down, thereby rescuing the user once they jump onto the ladder that is hanging from it. Then, a user will be notified of how much money they have made during the level, how many zombies they managed to kill, what their accuracy was, as well as some other information. Powers of Minus Ten, by Green-Eye Visualization, is an application that enables users to zoom into the human hand, in order to learn about biology and to see what goes on in the human body at the cellular and molecular level. Also, according to the app’s description on the iTunes App Store, the 3D content in the app is scientifically accurate, so users are able to get a real feel for what goes on in the human body. Additionally, Powers of Minus Ten also features a “game” aspect, where users earn points and such for finding and identifying certain structures within the human body, including proteins, organelles, and more! There are also games that users can play, such as a matching game, in order to help them learn about processes, like Mitosis. One great aspect of Powers of Minus Ten is that the graphics are great and can help students, or anyone interested in the human body or biology, view what perhaps microscopic structures and cells look like within the human body in an interactive way. When viewing a particular section (or magnification level) of the hand, users are able to pan around and view where things are positionally, as well as what else may be going on or is located in that particular area. Overall, Powers of Minus Ten is a great application, with some fun games included, which can help users view the human body in a way that perhaps they haven’t seen before, especially when it comes to the microscopic level. Where’s My Water, by Disney, is a great puzzle game, where the object of the game is channel water from one area of the screen, to another, where an alligator named Swampy is waiting for the water to take a bath. Where’s My Water starts off pretty simply, with users having to dig a path for the water to reach Swampy, but as the gameplay progresses, getting the water to Swampy’s bathtub begins to get more and more challenging, as different challenges are added. For example, once the user reaches a certain level, switches are added to the puzzle, causing the user to have to channel water to a switch, in order to operate it and get water to Swampy’s bathtub. In some levels, there may even be more than one switch that has to be activated, in order to beat the level. However, some levels include a water spout, which allows users to turn on and add more water as they need it, so they don’t have to worry about wasting the water they may have started the puzzle with. Where’s My Water is a fun puzzle application, which I personally liken to another iPhone application, Enigmo, involving getting water from one area to another, using a variety of different tools. If you’re interested in puzzles or challenges, perhaps you should check out Where’s My Water, by Disney. Additionally, this application is good for children, as well, as it features colorful graphics, and the fun of trying to get the water to Swampy so he can take this bath! Which apps for the iPhone, iPod Touch, and iPad did you enjoy using throughout 2011? Thank you for reading this blog post, as well as the TechnicalCafe blog throughout the year! I hope everyone had a great 2011 and that everyone has a happy, healthy, fun, and safe 2012! This entry was posted in App Reviews and tagged Android, app, app review, ios, ipad, iphone on December 31, 2011 by Jamie.